Valley Mushrooms has been growing high-quality mushrooms for 20+ years. Our goal is to provide you with the absolute freshest mushrooms—from our farm to your family’s table. 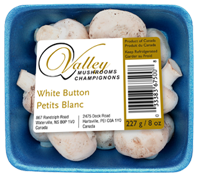 Valley Mushrooms are available at retail locations throughout the Maritimes.